Every one with passion for diamonds will know about 4 C diamonds. 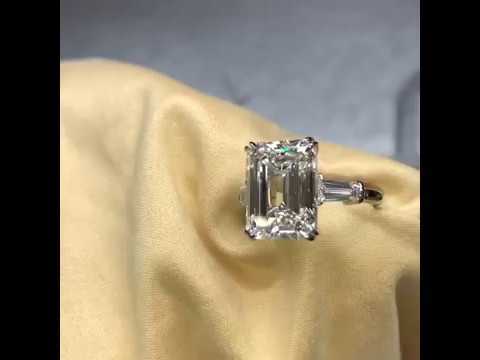 However, in the recent times, there are many synthetic diamonds in to diamond market such that you need an expert to find the original diamond. In the present times, people prefer 5 C while purchase of diamond jewels from a diamond jeweler, custom design diamond order works and diamond jewel purchase through online mediums. When you go for custom works, they may change the original diamond and will replace with 4 C, which you cannot identify. It is advisable to do custom diamond jewel works with trusted diamond designing studio in Toronto. This is because; a diamond jeweler will cheat you even with 5 C certification. However, the design by Sevan for custom diamond works is trusted and popular for their studio in Toronto. When comes to engagement Rings Toronto, there is no other place in GTA to buy diamond with clear cuts, pure clarity, accurate carrot and with proper certification. The Best place to buy engagement rings is from custom design diamond studio in GTA. The diamond ring custom design by Sevan is splendid such that you can see what you desired a diamond ring for your fiancé. Engagement rings Toronto are mostly having 5 C certification and diamond lovers prefer those unique certification. It is advisable to check with a diamond expert and find how they meet the 5 C requirement. This will save your money and your diamond jewel do have very good resale value due to it is originality, cut, clarity and proper certification as per the diamond standards. Anyone can order for custom diamond design works and get their desired engagement ring with no extra cost from a diamond-designing studio in Toronto. When you compare the diamond ring price with various diamond jewelers, you can see that the custom make is unique and it will be cheaper too. If you do not have any knowledge of diamond jewels, it is advisable to consult with a diamond expert online. When you do proper consultation, you can buy the original diamond with 5 C certification. The present trend in diamond jewels are lookout for 5 C and you can get them from branded diamond jeweler and diamonds online. The Best place to buy engagement rings in Toronto is from professional diamond designing studio, who offer custom works for its customer..